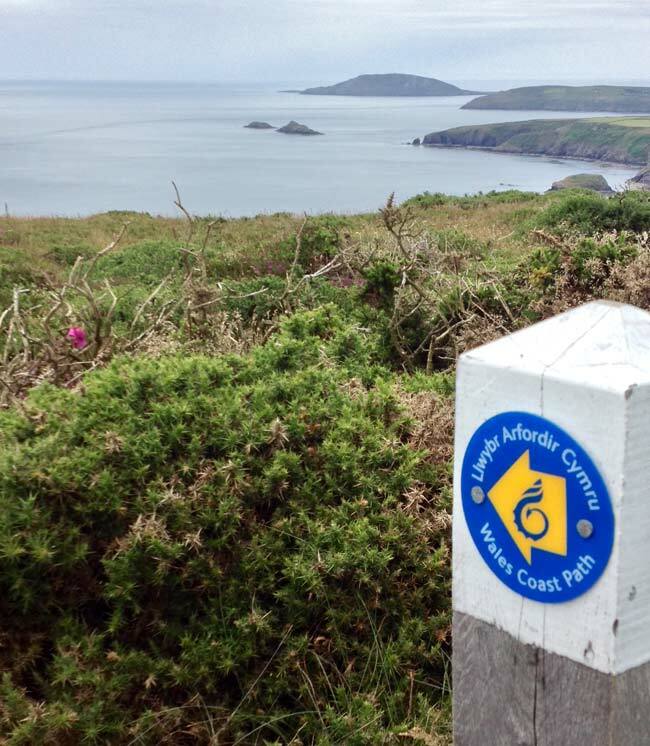 Information on the Wales Coastal Path routes for the Abersoch area can be found on the Wales Coastal Path website by clicking here. - There are aslo plenty of other local walks, some utilising sections of the coastal path. One popular route is called the Cim Farm Circular Walk, a 3.2 mile walk, which goes around the boudaries of the 400 acres of Cim Farm and includes some spectacular views of St. Tudwal's Islands, which feel almost touching dustance away! Details of this popular walk can be found on the TG Holidays Website by clicking here. - Other popular walks in the area are listed in a local publication which can be downloaded as a pdf by clicking here. 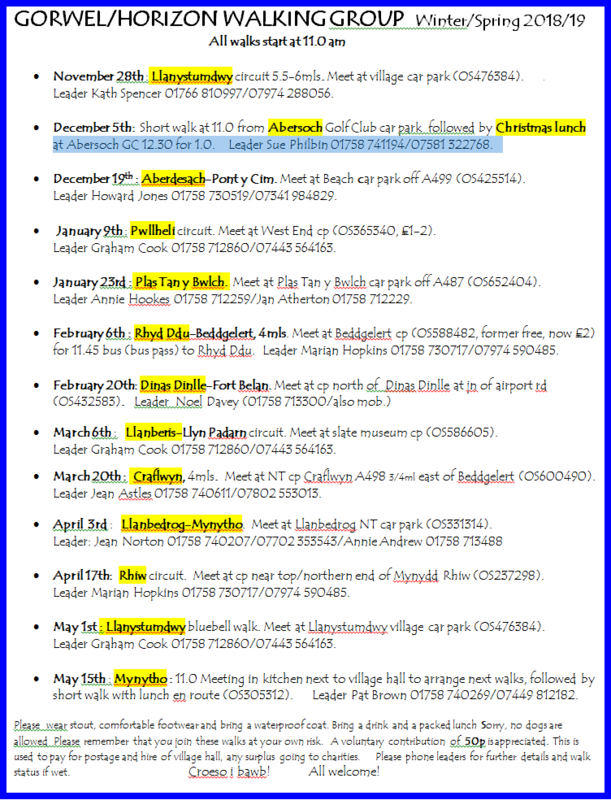 Local walking group, Horizon, have released their programme of walks on Pen Llyn for this winter and next spring. All are welcome to attend with stout, comfortable footwear advised, as well as a waterproof coat. A voluntary contribution of 50p is appreciated, which is used to pay for postage and hire of the village hall, with any surplus going to charities. For further details , see the information sheet below. The Visit Snowdonia website also has informaton on popular walks on the peninsula and these can be found by clicking here.